Edge Of A Cultural Shift? Went down to the auto show here in New York today. You'd be amazed at the number of really cool cars that get really great gas mileage that don't cost a fortune. Are we on the edge of true cultural shift? For years in America some of the best selling vehicles have been pickups and SUVs. Guys want room. Guys want power. 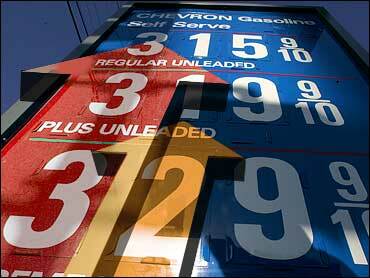 That's all well and good when gas is cheap, but what about now? We're in another price spike and an analyst I spoke with today thinks gas prices this summer will probably be in the $2.90 to $3.00 range. If you're in a pickup that hurts. Car company executives are complaining that the oil industry is gouging consumers, and oil company execs are wondering why average gas mileage on us vehicles hasn't gone up in 20 years. Meanwhile, the real cost of gas — if there is such a thing — is out of our hands. Speculators and hedge fund types control the market, and all we can do is drive less or take the bus.